2019 Phoenix Film Festival Short Screenplay Search. The Phoenix Film Festival is looking for the best unproduced short film scripts out there. Screenplays must be yours, original and under 25 pages. So let's see what you've got! 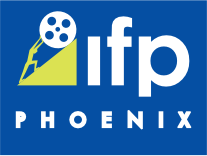 GOOD LUCK AND WE HOPE TO SEE YOU AT THE 2019 PHOENIX FILM FESTIVAL! Listing on Phoenix Film Festival website with contact information for producers to request copies of their scripts.